WestSoy Low Fat Soy Milk (32 oz) is organic product, with great real milk flavor and not to thin or thick consistency. It isn’t loaded with sugars like many soy drinks are and is just perfect for the whole family. I’ve tried many kinds of soy milk and lactose free milks… But this one is hands down the best out there. Great for shakes and cereal. Price wise, you can’t beat this deal. It’s going to be FREE for you.Just go to the WestSoy website, register and print their coupon. 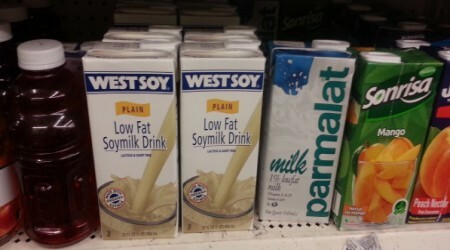 Remember that WestSoy Milk is a stable shelf-product, so look for it where juices are usually displayed. -We accept up to two (2) Internet Coupons per household per day. Below, I show my receipt of getting Soy milk for free at Dollar Tree.